"I don't want anybody landing back here - pregnant." Last January, Derry Girls landed on our television screens. It arrived with a considerable enough bang seeing as it was genuinely the funniest, most clever, and honest-to-God brilliant comedy to come out of Ireland since, well, ever, maybe. Following the rampant success of the show's first season came the inevitable question that everybody needed the answer to - when was season two going to be out, and when would we finally be able to feast our eyes on the trailer? We got the answer to the first part of that question a few days back (it'll be this March, fyi), and today the first official trailer for the show's second season dropped. Unsurprisingly, it looks nothing short of iconic. 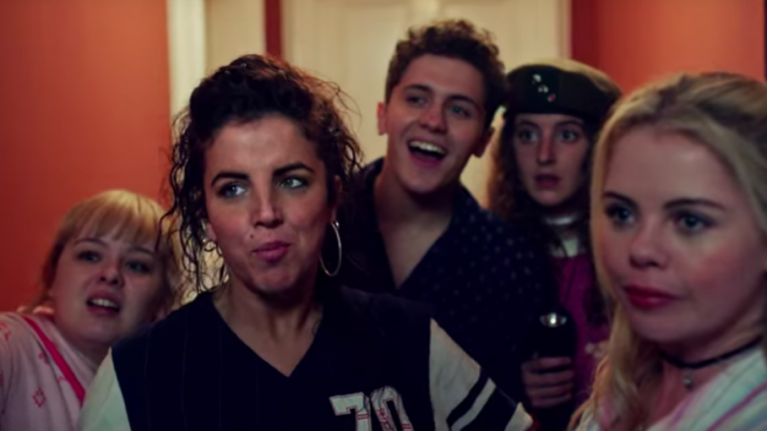 The trailer shows the girls (and James) going out with a load of protestants, shifting lads, and not getting pregnant, much to the delight of their ever-worrying mammies. There'll be dances, there'll be winged eyeliner, there'll be karate chopping nuns and Take That cardboard cutouts. Essentially, it's going to be a bangin' March and we are intensely hyped.